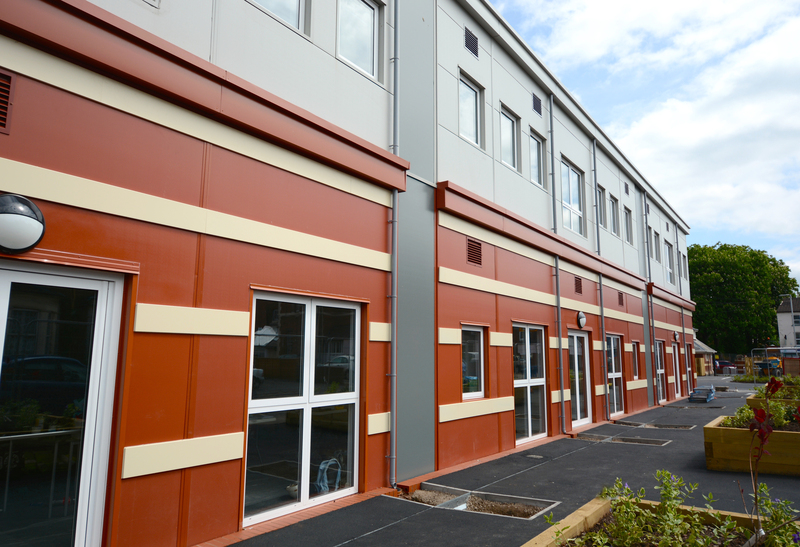 Premier Modular Limited worked closely with main contractors Wilmott Dixon and architects Robert Limbrick to provide a design and build solution for a vocational school, a co-operative academy which was the first of its type in the UK. 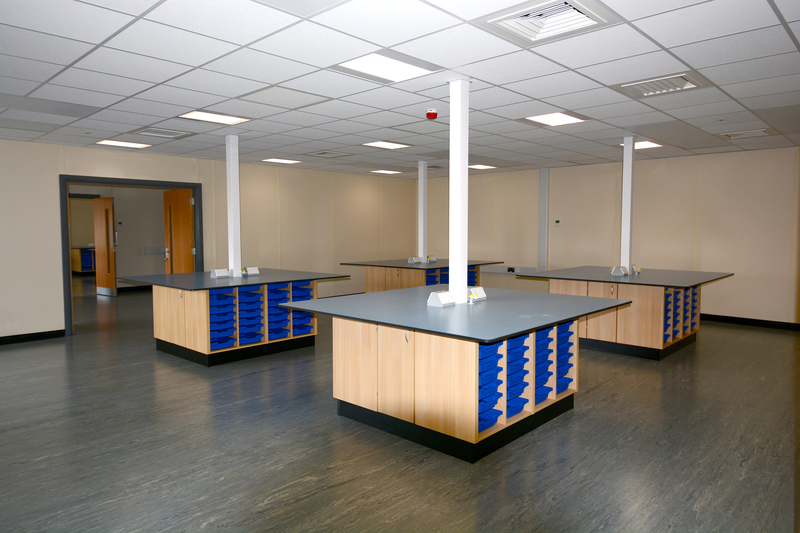 The ground floor modules have concrete floors, this combined with the high ceiling height of the modules makes the rear wing particularly suitable for use as workshop/ practical teaching area. The front elevation incorporates vocational training retail spaces. 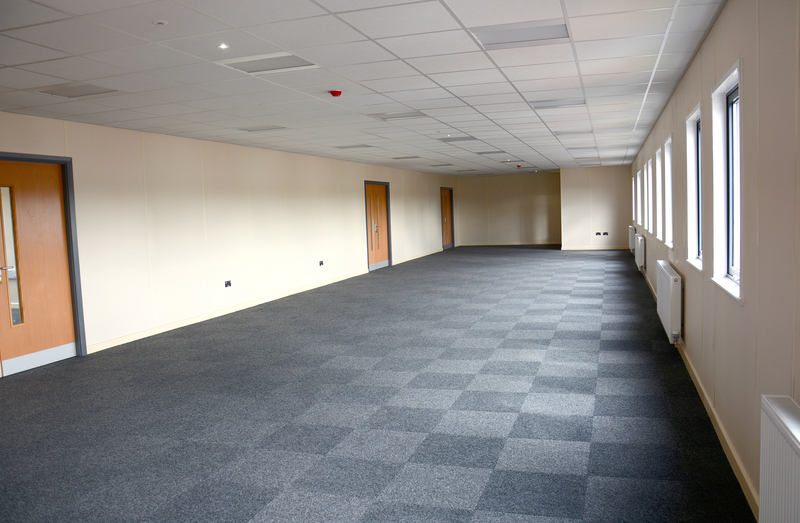 Despite having been used before, the building was still offered with a full design life to a permanent building standard. 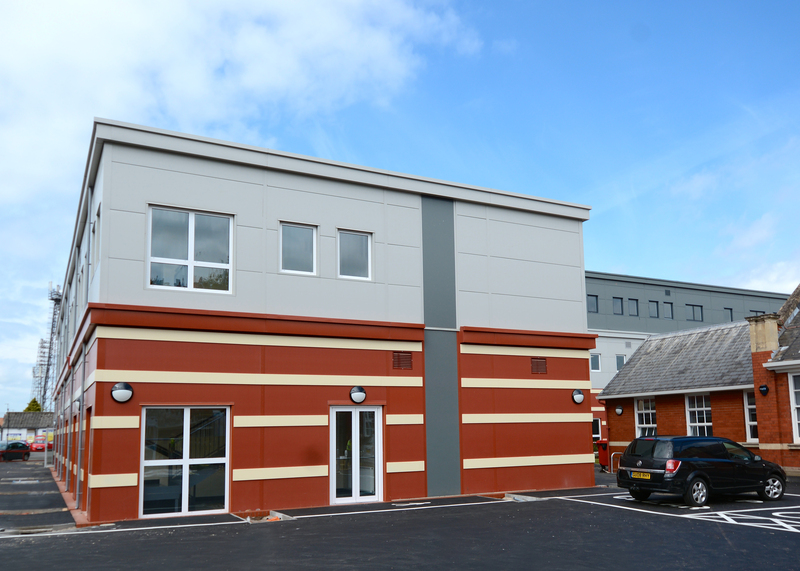 The structural frames were re-clad with modern micro-profiled cladding and trims in colours to complement the brick skin and slate roof of the existing school building.